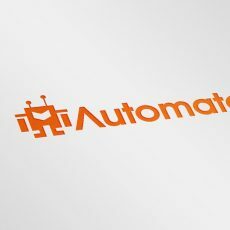 Here at Automate we are centred around delivering our clients a solid return on their investment, ROI. There is no use having a pretty-looking website if no one sees it! And even if people do see it, it is still no use to you if it can’t convert that traffic into leads and sales. We understand this and thats why we don’t just sell websites, we sell digital marketing. We sell results. We sell ROI. Our web design is optimised for conversions so you get the most out of your website’s traffic. We maximise the chances that whoever visits your website will get in contact with you. Then we make sure your website gets found by hordes of potential customers who are needing your services, whether by Adwords, other forms of paid traffic, or by SEO. The end result when you put these together, high quantities of quality ‘buyer-ready’ traffic with good conversion rates is a solid increase in your client base, and therefore a solid increase in your bottom line.